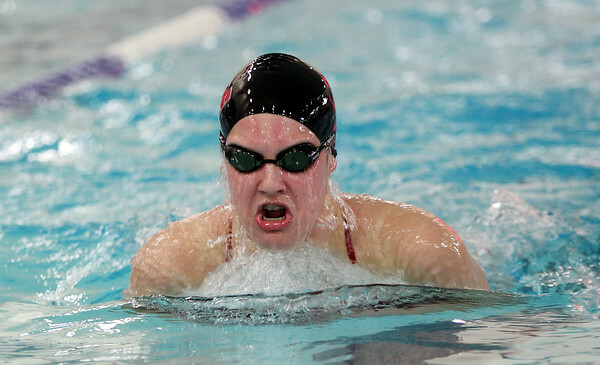 Marblehead's Ellie Ronan surfaces for air during the breaststroke leg of the 200m Individual Medley against Beverly at the Lynch/van Otterloo YMCA in Marblehead on Tuesday afternoon. DAVID LE/Staff photo. 1/13/15.